We are closed on New Year’s Day and will return 1/2/19. Closing early tonight at 6pm. We are closed on New Year’s Day and will return 1/2/19. Thanks again and see you next year! Previous Post Ryuichi Sakamoto / Thousand Knives has arrived in FACE RECORDS NYC. 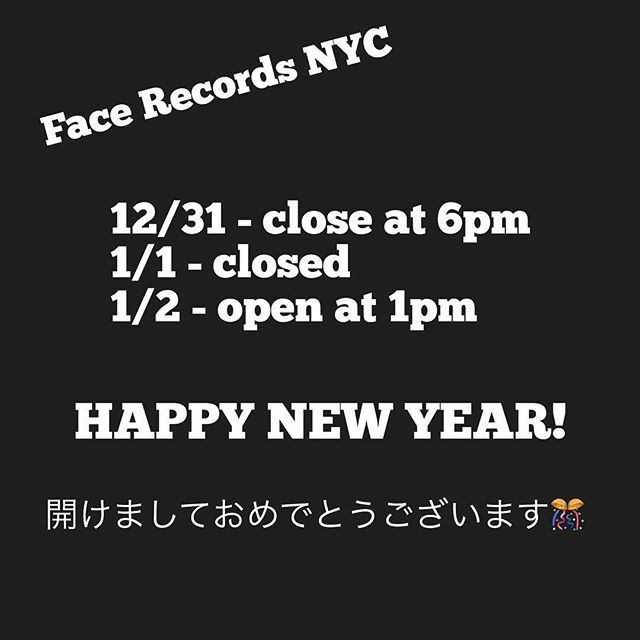 Next Post Haruomi Hosono / Tropical Dandy has arrived in FACE RECORDS NYC.